Also serving communities of Riverton, Chatham. There are 4 Memory Care Facilities in the Springfield area, with 3 in Springfield and 1 nearby. The average cost of memory care in Springfield is $5,333 per month. This is higher than the national median of $4,650. Cheaper nearby regions include Jacksonville with an average starting cost of $4,350. To help you with your search, browse the 7 reviews below for memory care facilities in Springfield. On average, consumers rate memory care in Springfield 5.0 out of 5 stars. Illinois' capital city is home to more than 116,000 residents, including 18,560 adults 65 and over. Statewide, some 220,000 senior citizens have Alzheimer's disease, and this number is projected to increase by 18.2 percent between 2017 and 2025. Springfield's growing population of adults with dementia is served by several specialized memory care facilities located in and around the city. All assisted living and shared housing establishments are regulated by the Illinois Department of Public Health. Facilities that provide memory care must disclose this status to the state and provide an overview of their qualifications to current and prospective residents. Illinois has a mixed climate. Although Springfield has a slightly lower comfort index compared to the average U.S. city, it receives less rain and less snow. The weather varies substantially with summertime highs around 86 degrees and wintertime lows of 19 degrees. For safety reasons, family members should determine how facilities protect residents during severe weather. Seniors in Springfield can benefit from the area's low cost of living, which is nearly 20 percent more affordable than the national average. Although health care costs are 5 percent higher than the U.S. average, other essential living expenses are up to 50 percent lower. The area's moderate cost of living can increase the affordability of memory care and related services. Health care costs are also influenced by the state's tax policy, which adds 1 percent sales tax to all prescription and over-the-counter medications. Otherwise, Illinois has a favorable tax policy for retirees. Qualified employee benefit plans, such as IRAs, SEP plans, 401(k)s and pensions are not taxed by the state, which can benefit fixed-income residents who require daily assistance. The Springfield area is home to several world-class medical facilities, including the HSHS St. John's Hospital and those specializing in brain health and dementia care, such as the Center for Alzheimer's Disease and Related Disorders at the Southern Illinois University School of Medicine, in the event of medical emergencies or illnesses. Memory Care costs in Springfield start around $5,333 per month on average, while the nationwide average cost of memory care is $4,778 per month. To see a list of free memory care resources in Springfield, please visit our Assisted Living in Illinois page. 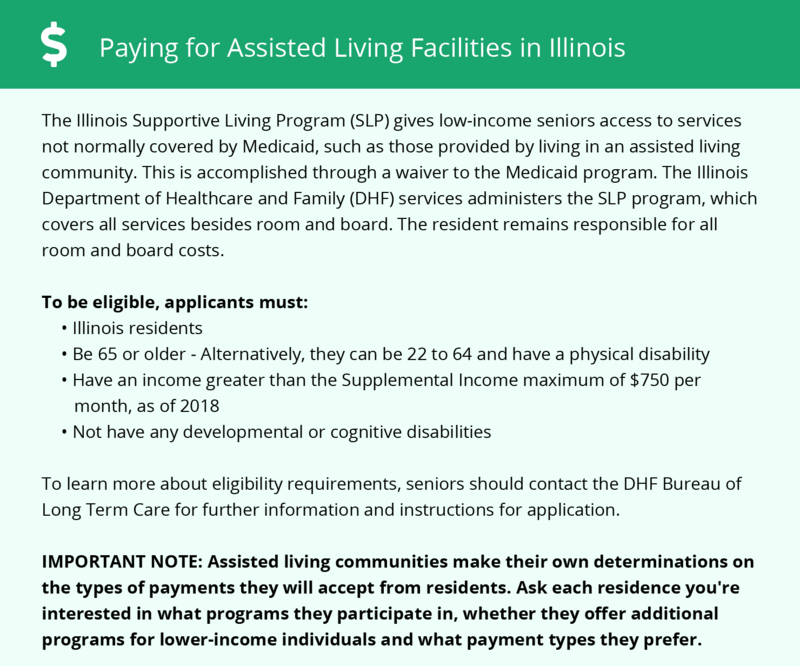 Springfield-area assisted living communities must adhere to the comprehensive set of state laws and regulations that all assisted living communities in Illinois are required to follow. Visit our Memory Care in Illinois page for more information about these laws.